1 Why is Beach Cities Tutoring so unique? Because Beach Cities Tutoring was founded by a special education teacher and many of our tutors are current or former teachers, we have a strong passion for helping students as well as the formal educational training and knowledge of curriculum and pedagogy. Also, our director wants to make sure that you are completely satisfied with your tutor match so you will receive a follow up call after your first session. We guarantee your satisfaction. 2 Why is Beach Cities Tutoring ideal for working parents? We provide private in home tutoring in the comfort of your home so you do not need to drive anywhere or even be home. We are happy to leave a note/email/text of what we covered and update you on your child’s progress. 3 Will Beach Cities Tutoring work with your child’s teacher? Yes, our tutors are happy to communicate with your child’s teacher. We want to work as a team in order to achieve the best results for your child. 4 How long does it take to sign up for Tutoring? Although you can contact us through our contact tab, you can also call us directly at (310) 210-4415. We will get back to you within 1-3 hours. A contract is needed before a tutor can come to your home but it can be sent electronically within seconds and billing is done online so technically you could have a tutor the same day based on tutors’ availability. It is always more advantageous to call a few days in advance of wanting to star tutoring, but we will do our very best to accommodate last minute requests as well. 5 How much does tutoring cost? 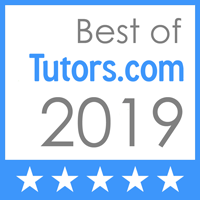 The cost varies based on the qualifications/experience of the tutor but the range is between $60-100 per hour due to the high quality of our tutors and proven success rate. In additional all of our tutors have minimum of a Bachelor’s Degree, specialize in certain subjects and have tutoring experience. Many have Master’s degrees and teaching credentials. 6 Do you have special programs for students with special needs? Absolutely, our founder and director has her MA in Special Education and 12 years in special education classrooms. We have certain tutors that are qualified to work with students with special needs and will design the best program to meet the individual needs of your child. 7 Do we offer test prep? Absolutely, we offer test prep in the areas of SAT prep, ACT prep, HSPT, ISEE, and PSAT. Tutors will assess areas of weakness as well as teach students specific test taking strategies and problem solving strategies. 8 What happens if I have to cancel a session? As long as you give 24 hours notice to our director you can receive a credit toward your next month of tutoring. 9 When are the sessions billed? All clients prepay for the month for the amount of sessions they wish. Payments are due on the 1st of the month for steady clients. You are allowed to cancel with 24 hour notice and can also add sessions if you need per request. 10 Can I try multiple tutors? Yes, you can based on the availability of the current tutors.